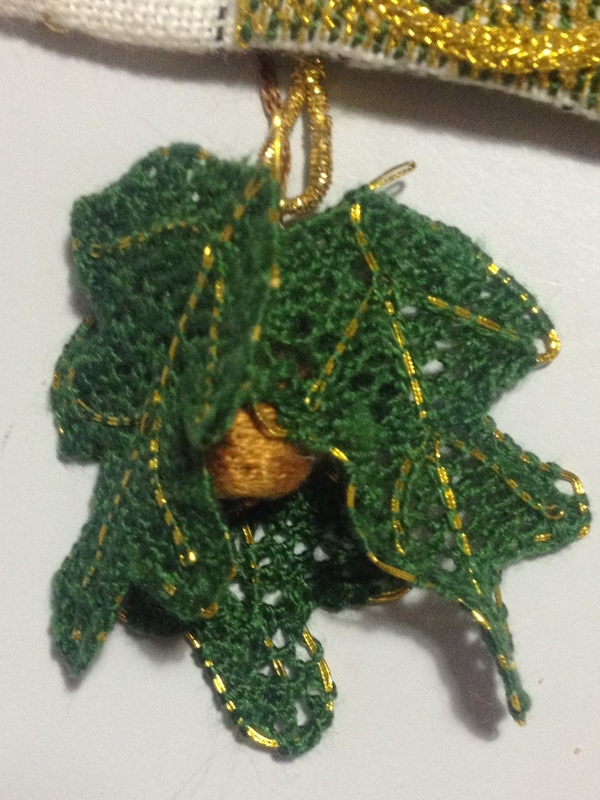 4 more needlace leaves were made. 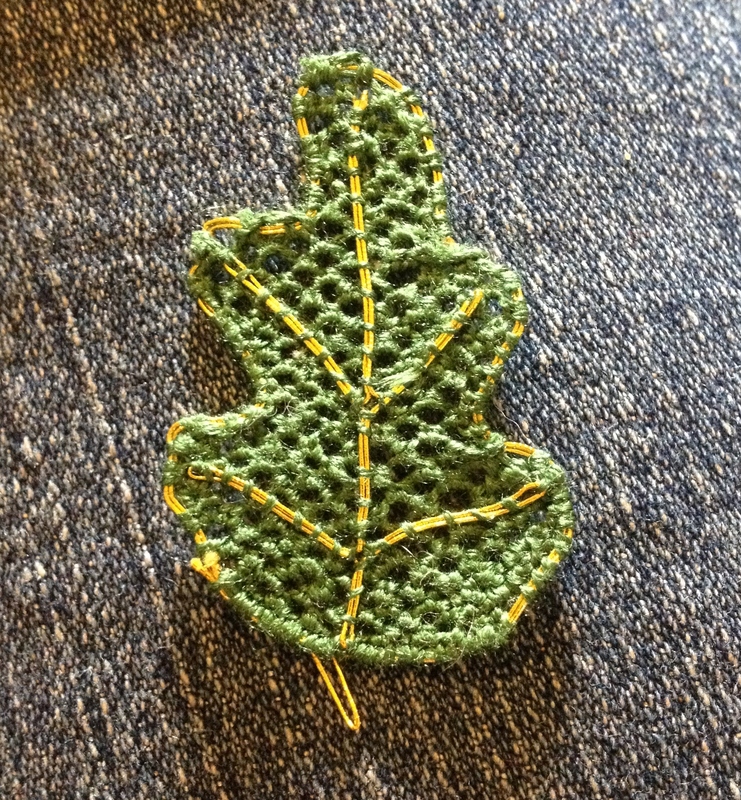 That makes 5/15 leaves completed. 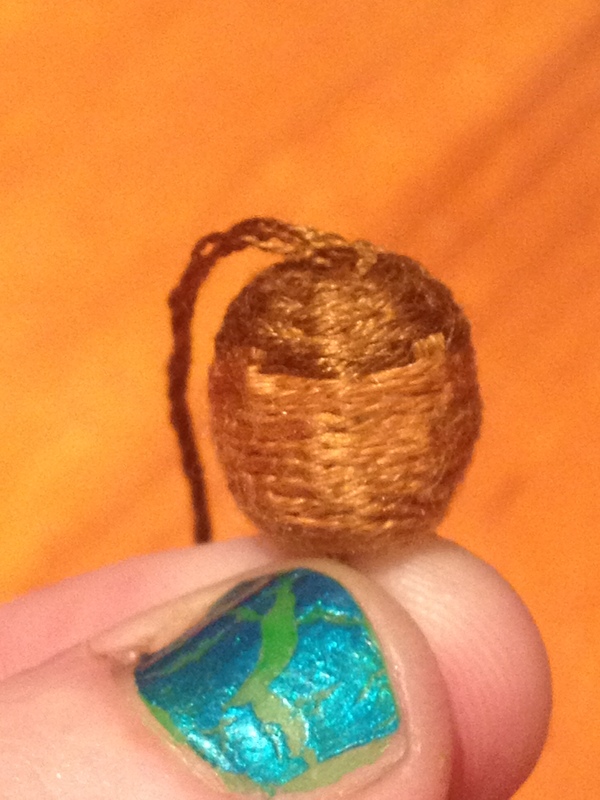 1/5 thread wrapped bead acorns. The light brown silk is the reverse spine stitch and the dark brown silk is basketweave. The core is a wooden bead. Several elements of the bag require gold-wrapped string (including tassel loops and pretzel-like embellishments). 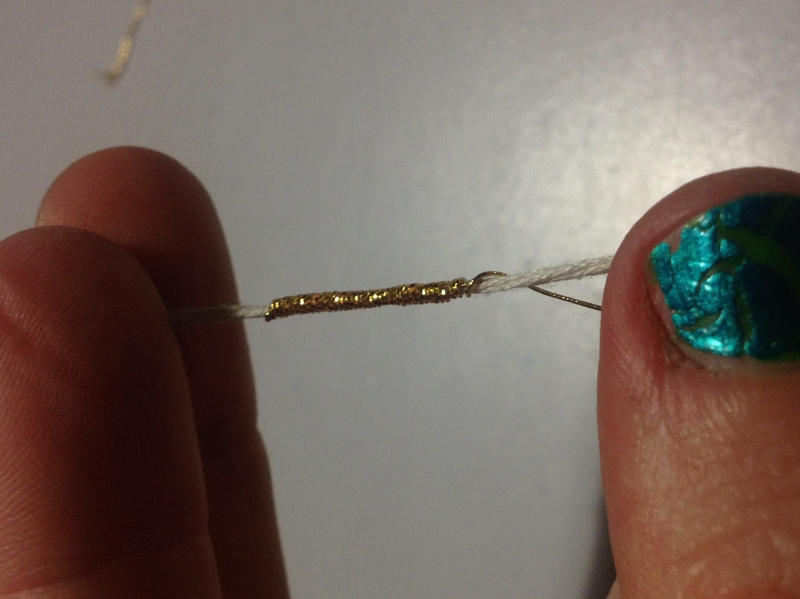 I wrapped the gold around the string core myself. 1/5 tassel loops was finished. 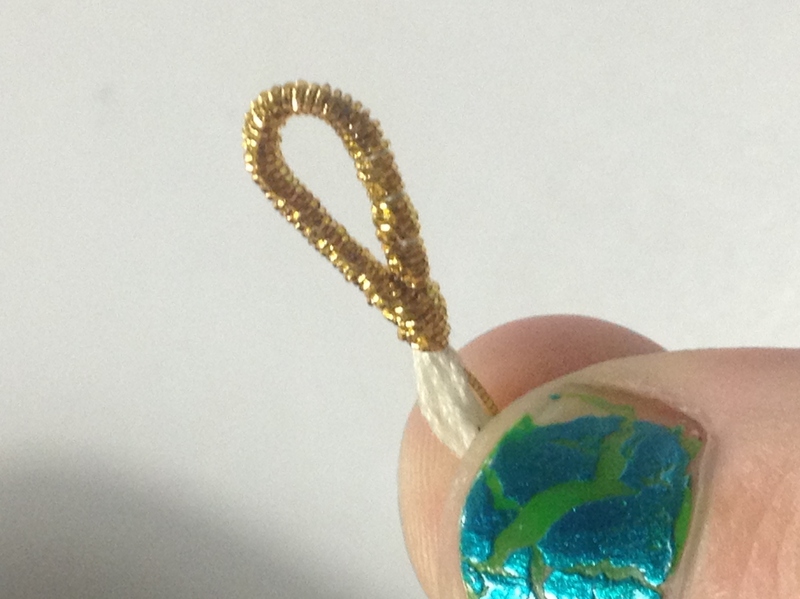 1/2 pretzel-like embellishments for the top of the bag (beside the handle-string) was made. I positioned the tassel elements together to give a rough idea of what the tassels will look like. The project is currently up to approximately 115 hours of work. 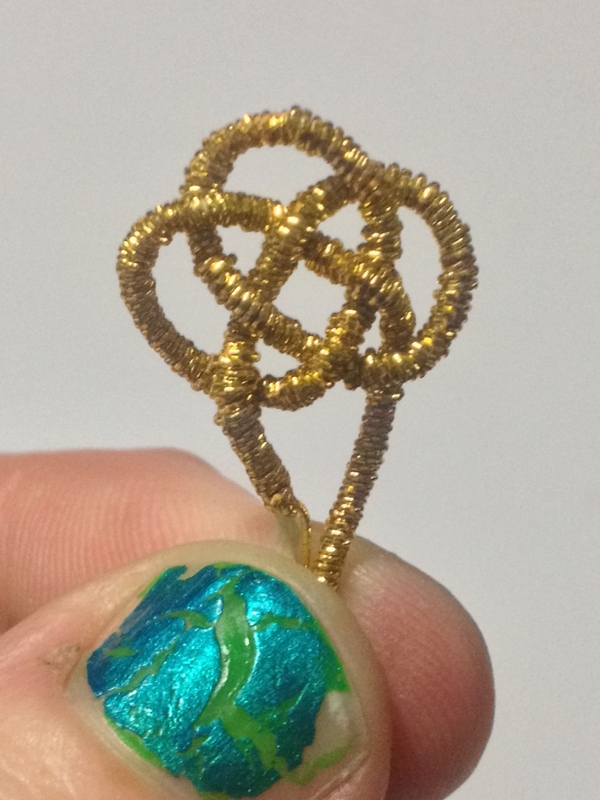 This does not include the learning element (it took a couple of tries to get the gold wrapping for the loop and pretzel working, for example). Many hours of work to go yet, but it’s getting there. Onwards and upwards!